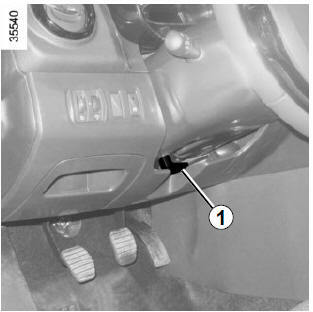 Pull lever 1 and place the steering wheel in the required position; push the lever beyond the point of resistance to lock the steering wheel in place. Make sure that the steering wheel is correctly locked. For safety reasons, only adjust the steering wheel when the vehicle is stationary.